Lucid Dreams: A lucid dream is any dream in which one is aware that one is dreaming. It usually happens while you are dreaming the dream. But let’s take this a step deeper. In this type of dream you have the ability, at least to an extent, to control your thoughts and actions as well as your surroundings. It’s like being awake and conscious inside your dream. Freaky. I’ve had a handful of dreams like this, although it’s been a while. I remember one vividly. A very good friend (ahem) was working behind the scenes to take me down and out in real life. I had a dream I was in combat with this person on a regulation mat and we were using martial arts against each other. I’ve had some martial arts training but nothing to brag about. But in the dream I was very much awake and had to act, react, defend myself, and take the offensive. I made conscious and awesome decisions to not only protect myself from the onslaught, but to let this person know there was a price to be paid for messing with me. True story. I'll take this willingly to my personal Judgment Day and give an account for it. Question: Have you had any dreams like this. Dreams that you not just dreaming of some really strange $h!+, but that you are aware and can consciously effect and even control the dream? Tomorrow: M is for Movies. Stop by and tell us your favorite supernatural and paranormal movies! I've had quite a few lucid dreams but for the life of me I can't remember them now... but it's that point on waking up that you're aware of how aware you were in the dream! Great choice for L! How weird? I can't recall having any of those. I don't remember any dreams like that, but then I don't often remember my dreams. The only ones I sometimes do are those ones when you partially wake up and know you are going back into the dream as you fall asleep again. Natasha, I wish I could do that when I wake up during a dream. I try. But it just doesn't happen for me. I've had a lot of dreams like that. Usually when something really weird happens, my brain tells me it's a dream and not real. My wife says I've ruined many a good dream by doing that since I usually wake up right afterwards. Thanks for this Stephen ... I don't know too much about lucid dreaming where one determines the outcome. I've had dreams where I confront the stranger and ask them what they want if they appear threatening. Once or twice I have. When I was a kid I used to dream I was with the gang of Scooby Doo and I was working with them to solve mysteries. I could dictate at times where I was going when being chased. This actually happened quite a few times. Pretty weird huh? I could give a therapist a run for their money! judi, as a kid that would be really cool. Were you a cartoon figure too in the dream? Some, but more than not, I want to control the dream, but can't. Dreams are weird. I look at the clock when I wake up from a dream and often it's 3:33 or 4;44 or 5:55. They are rare, but I have had a few. I remember one which was inspired by Stephen King's The Talisman. There was some horrible monster after me and I was able to touch its forehead and say, "Get you off the face of the earth. In her name, I command it!" The monster dissolves. In the book, the hero Jack is holding a coin with the image of the queen to the monster/bad guy's head when he says something like this. I must be weird (or more likely aging) because I have difficulty remembering one day to the next! Thanks for sharing and for regularly visiting my blog. I've had a few lucid dreams, but I can't defend myself even though I try. I've also had false awakening, where I'm dreaming, but think I'm awake, going about my day, only to wake up. It's a trip. I've never been able to master the skill of controlled willful lucid dreaming, however I have had lucid dream states that some upon me. It usually happens in the daytime when I just need a brief nap. The lucid dream states are always short--probably a matter of seconds, but they seem to last much longer. I've only experienced it a few times in my life, but lucid dreaming is awesome. Yes, I frequently have dreams like that. I always know when I'm dreaming but I don't control them. My daughter has lucid dreams all the time. I've never had a lucid dream but I've always wanted to. Dreams fascinate me. I've got a mini-series outlined from a year ago. One of these days I'm going to finish and post them. Yes I have, as a matter of fact. I've even gone back to sleep just to continue the dream. I have had those kinds of dreams where I can change the direction of the story unfolding. I've also flown a lot. In the flying dreams I never want to wake up. Yes, and it's kind of scary. At least it's a clear message. I don't know if I could call them lucid dreams, but sometimes I realize that I must be dreaming. But I'm not really controlling anything, or I'm about to wake up, so I don't think it counts. Yes, but I usually wake up right after I figure out I'm dreaming -- bums me out every time! I had the flying dreams when I was younger, but not anymore. I miss them. 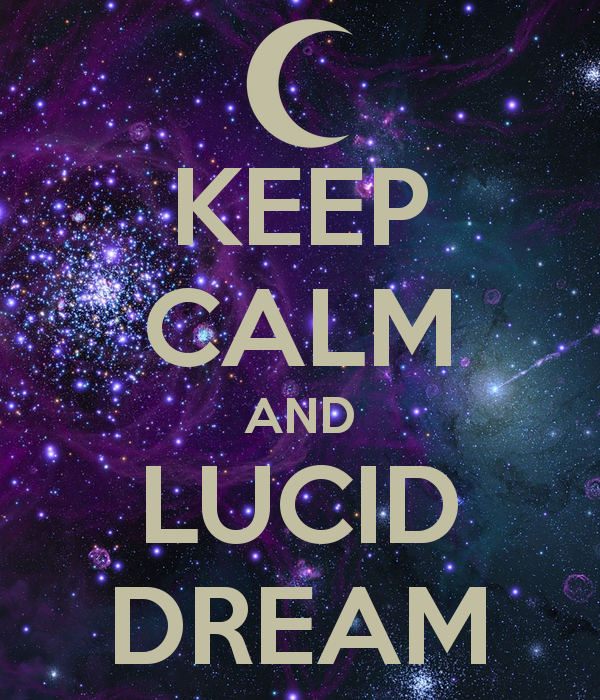 Recently I've had some very lucid dreams, for sure. 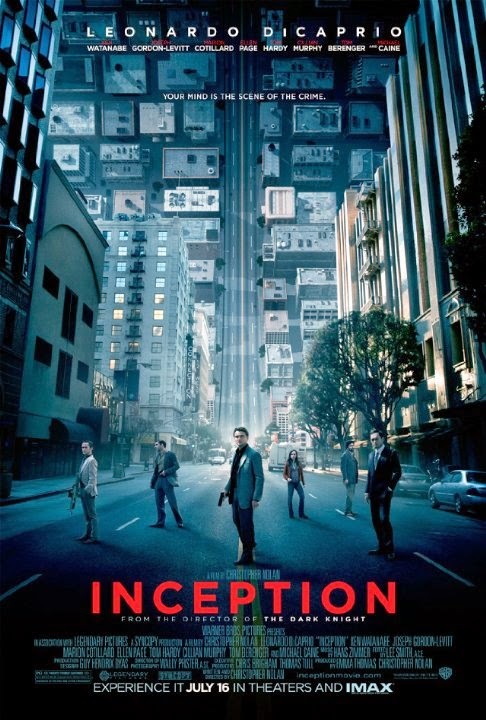 And Inception...whew! My son watched it when he had a fever and ended up having quite a restless night after that! Inception was a great movie. But will it make my Top Ten list of supernatural and paranormal themed based movies tomorrow? I think my lucid ones are those in which I wake up because I need to go to the bathroom. Had a good dream going this morning and made myself wake up. Sure wanted to have an ending to it. I had a lucid dream once. It was years ago, though, and I've yet to figure out how to replicate the experience, haha. I have had dreams like this. I remember once being afraid and thinking, "This is a dream." Fortunately, I woke up. It wasn't a pleasant experience. Lots of great movie memories here, thanks Stephen. Only once. I was heading toward a nightmare - I was aware that I was walking through the dark, and that something was lurking - and I willed myself to change the scene to a beach. It was a strange sensation, especially since I was also aware that I was in a paralyzed state of sleep.